Be Still 52 lesson for week 42…ok, how can we be at week 42 of 52 weeks. Where has the time gone? I , for one, sure don’t want this class to end. Sorry, I digress…the prompt for week 42 is to find a crate, box or cupboard and spend a little time in the shadows. For me, it’s a hat box. The good news is that my favorite to-go small vase fit’s perfectly inside the hat box. Thankfully, the azaleas are in bloom and ivy is flourishing too. A couple snips and I was ready to set up my shot. I love it when everything just seems to come together and as I envisioned it. That left me some time to take the image into Topaz Impression for a little more artsy play. I think I’ve had as much fun today working in Lightroom and Topaz Impression as I did in Kindergarten working with finger paints. Clean is also more fun than when I worked in finger paints. This couldn't be any more lovely! This is gorgeous. Just gorgeous. You really must have loved the playing. 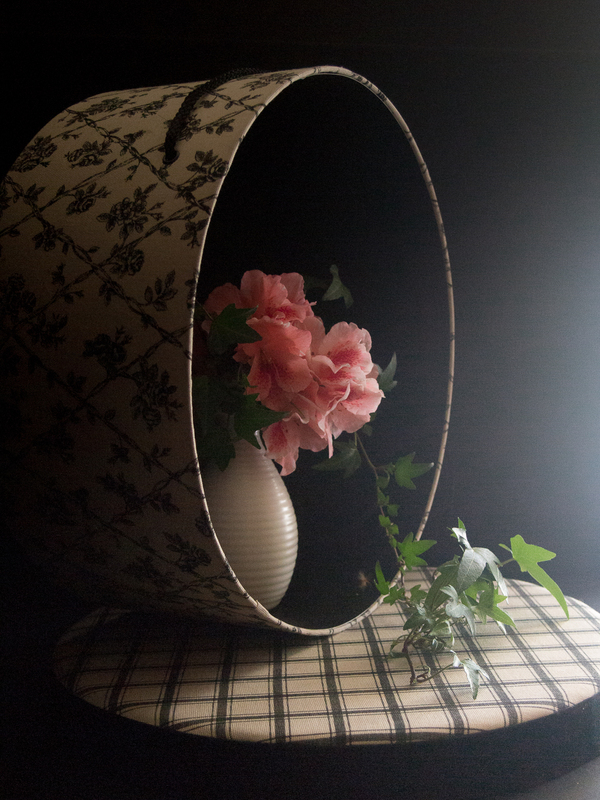 I love the hat box idea and your composition is beautiful. Beautiful! Love the hat box! This is a great "crate" look...I adore hat boxes! Beautifully done Carol! I just love these! The hat box, the flower, the plant... and that light, oh that gorgeous light!! Everything is so very pretty & perfect. Thank you so very much for your kind comment on my crate pics - you are so sweet! Oh sorry, Carol, I forgot to add that this is Janet at Prairie Sage, my google ID of janterra is confusing and I sure wish I could change it!